Bakingo has always boasted of its freshly-baked cakes with appetizing flavours and the innovative ideas with the help of which it constantly whips up something unique and scrumptious. Bakingo has its roots in Gurgaon, hence, this city is treated with utmost love and flavourful affection. Baking doesn’t just believe in delivering cakes, but it tries to bring happiness to the doorstep with the decadent cakes in boxes. If you are living in Gurgaon, then you will love what we are about to say. Bakingo has decided to delight the people of Gurgaon with some quite exclusive flavours which will be hard to resist. 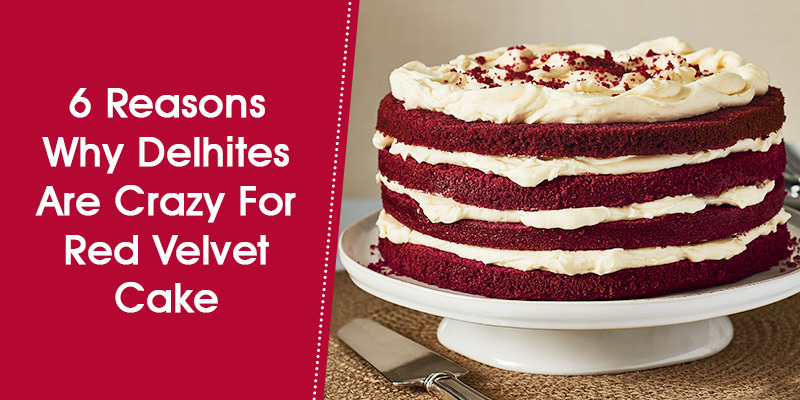 The mania for Red Velvet cake is not news in the affair and coffee is what makes us run in the morning. Imagine, these two beloved flavours coming together in a single bake. The skilled bakers of Bakingo have made a dream come true with this unique combo of flavours which is one of the must-haves in the dessert list now. 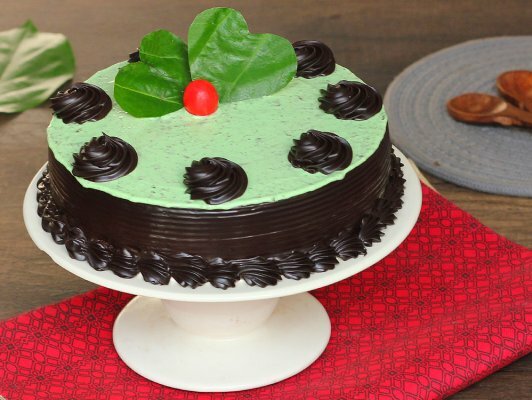 To beat the chocolate and coffee craving altogether, lay your hands on this cake right away! For all the rabri lovers, this dessert is what you need to make your day a brighter one. An ideal way to end your meals, it is garnished with butterscotch chunks by the sides and on the top. 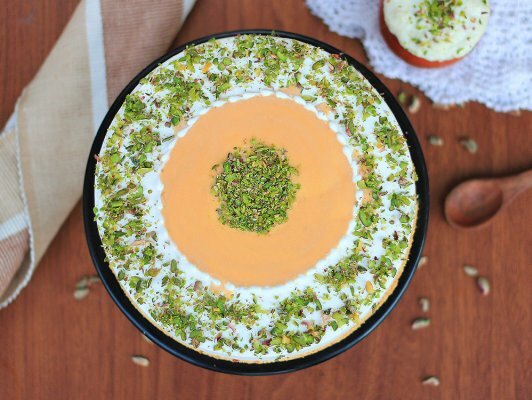 The crushed pistachios are sprinkled over it and rabri is at the centre of the cake. 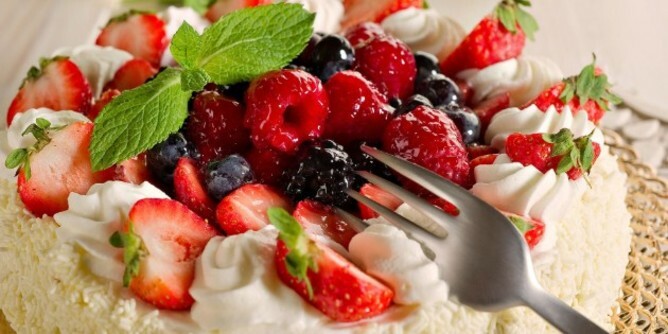 It makes for a refreshing flavour that can revive your taste buds for good. 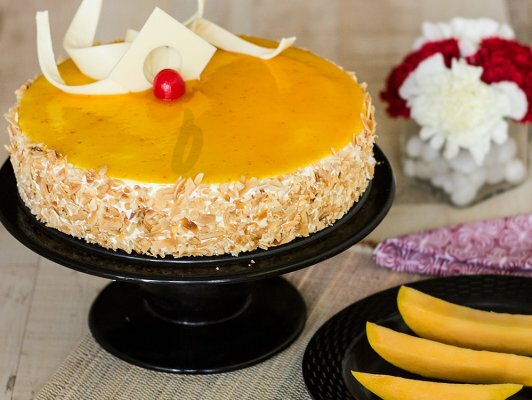 One cannot get enough of mangoes and this mouth-watering cake is just an addition to portray our love for the tropical fruit. The three rich and creamy layers consist of mango fillings making it a tempting treat. The crest is frosted with white chocolate shavings and dripped with mango glaze which is made from fresh mango pulp. A mangolicious treat it is! 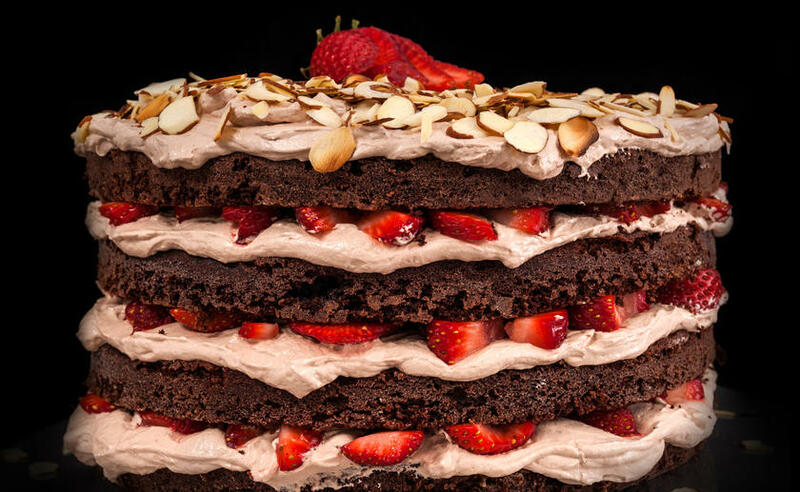 If you think that chocolate cake couldn’t be innovated in any other way, then this cake is definitely for you. The zesty flavour of paan with the chocolate tinge will lend a piquant flavour to your taste buds. You just cannot miss on this one. Sheer beauty carrying the same intensity of deliciousness, this upside-down cake is moist enough to lend a flavoursome taste in your mouth. 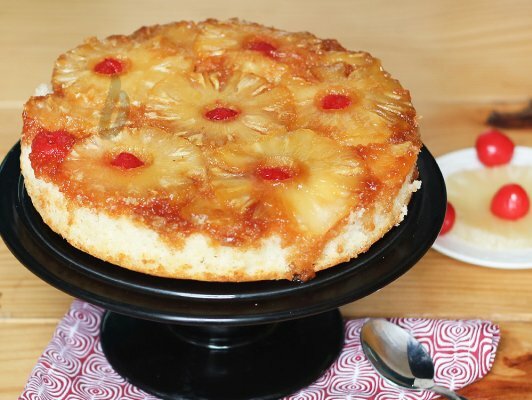 Topped with pineapple and maraschino cherries and baked with love, this one will make you a great host on any given occasion. 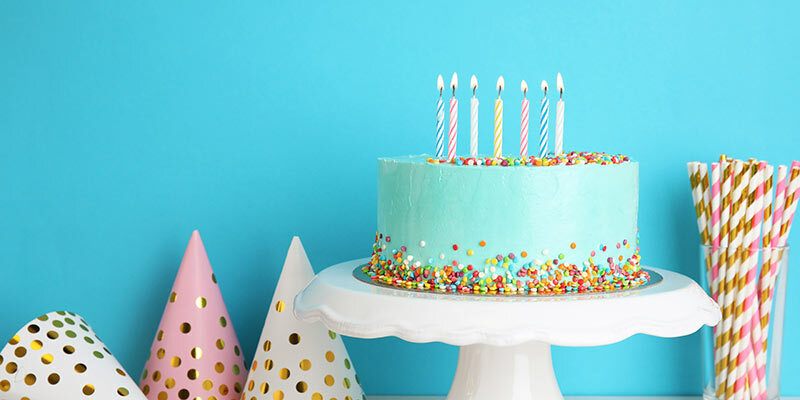 Because fun is just a cake away! 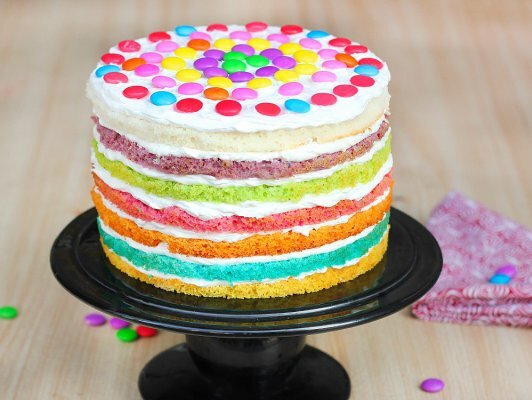 A towering cake full of vibrant colours and delightful deliciousness, this rainbow surprises cake is created to make the parties even more fun. 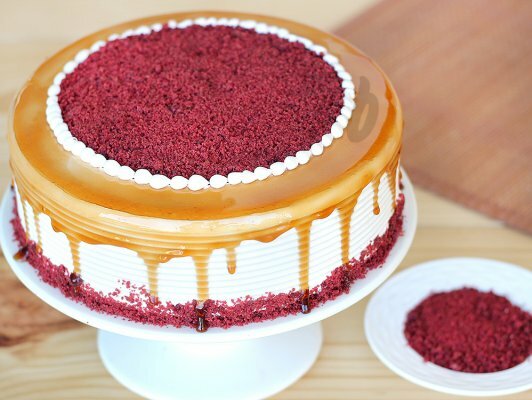 It has seven layers and exudes happiness with its look and its taste.